The Crossrail effect will make the rich richer and squeeze first-time buyers further out of London. Areas graced by any of the Crossrail’s links will enjoy multiplying property values, adding an estimated £5.5 billion overall, according to Crossrail’s land and property director, Ian Lindsay. The Crossrail’s benefits have been widely reported, and rightly so if the system lives up to its claims; putting an additional 1.5 million people within 45 minutes of London and reducing journey times across London by up to half. Even so, with further property price hikes, is this good news for the younger generation? London has infamously been unaffordable for younger earners and with rising UK-wide property prices how will this so-called Crossrail effect affect them? Along with 40 new stations, the landmark development will introduce 57,000 new homes across the route, however many of these constructions are not going to solve the housing shortage problem that is severely restricting London’s younger workforce. It is not only supply that is the issue, affordability is a large part of the problem too. 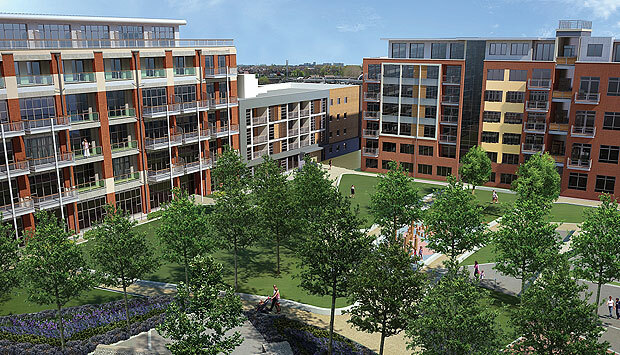 And these new additions will be far afield from the budgets of those looking to start on the property ladder, with developments like the Royal Arsenal Riverside in Woolwich starting at £360,000 for a one bedroom apartment. At £974 per sq ft, these new builds are already triple typical residential prices for the area. It should be noted that this development will be situated on top of the new Woolwich Crossrail station, which is premium space, however, the prices are an example of the unaffordability that Crossrail linked areas like this will face. A graphic created by JLL shows forecasts of property prices from the end of 2014 to December 2020. Many young adults who work in the city tend not to be able to afford to live there, so they have traditionally located to cheaper areas within a commutable distance such as Stratford, Hanwell and Woolwich. Places previously touted as affordable commutable alternatives to the dizzying heights of central price tags. However property values in Stratford, according to JLL, are forecast to grow 45%, similarly Hanwell by 46% and Woolwich 52% in the next five years. Which is great news for existing home owners in these areas but casts out younger buyers on tighter budgets. Shared-ownership schemes are possibly the best bet for first-time buyers in the capital. Of course, along with the initial lump sum deposit, buyers will need to factor in the additional monthly rent costs on top of a mortgage. However, these tend to still be cheaper than rents in London and the benefit is once you can afford to you can increase the share of the property you own, this is known as ‘staircasing’. A good example is Bethnal Green, just 3 minutes on the Underground from Liverpool Street. Typical rents for a one bedroom flat here average £1300. On an affordable housing scheme a one bedroom apartment in the E2 postcode can be found for just over £1000 a month for a 25% share of ownership. This includes rent of £424, a service charge of £134 and an estimated mortgage of £462. This part buy, part rent formula allows young workers to stay in a commutable and attractive area, and invest in ownership, where they simply would have rented previously which is effectively wasted money. There are factors that affect eligibility as with any normal mortgage, such as being in permanent employment, being a first-time buyer and your household income must not exceed £71,000, and as with many shared ownership schemes, applicants must be working or living in the borough. At just under £74,000, Acton provides a suitable location for those looking for a Zone 2 settlement. There are 453 homes in the newly developed Factory Quarter site in Acton and cost only £73,750 for a 25 per cent share in a one bedroom flat. These developments require applicants to work in the nearby locations of Hammersmith and Fulham to qualify. If East London is more up your street then Plaistow provides ample accommodation not far from Stratford. Housing Association Peabody has transformed Plaistow Hospital to provide 28 shared-ownership homes. Upton Village provides great value at £115,000 for a 50% share in a one bed flat and £118,500 for a 25% share in a three bedroom apartment. 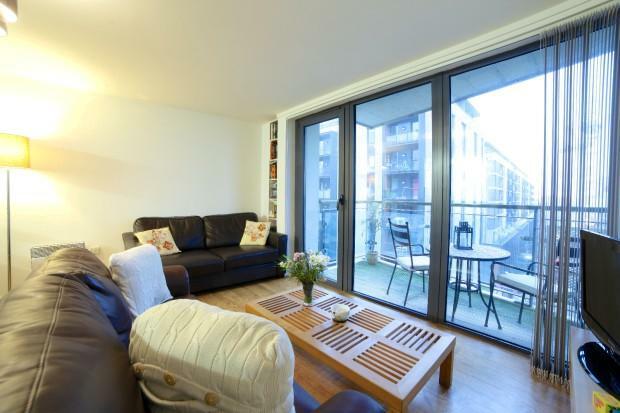 This is outstanding value, especially for families looking to be close to Canary Wharf and the city, situated within 20 minutes by the Hammersmith and City line.